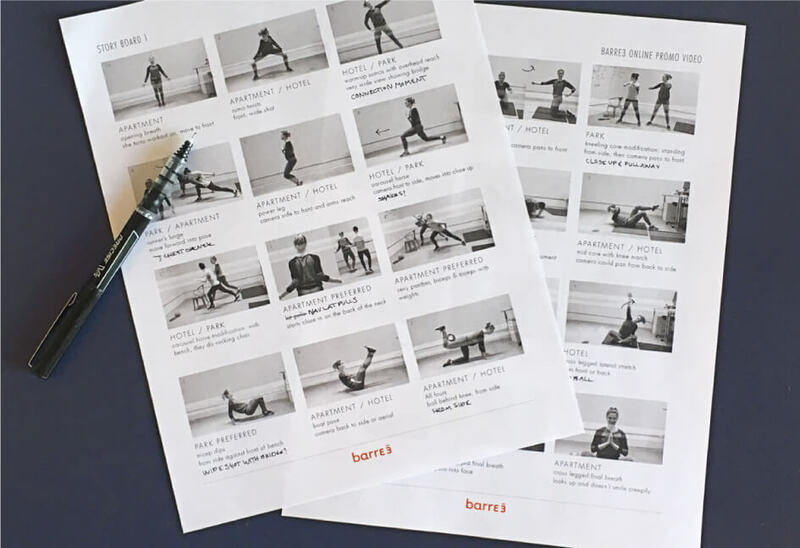 When barre3 revamped its online workout subscription service, I was tasked with updating the accompanying sales collateral. It's hard to make really compelling online workouts imagery (it often ends up looking a bit sad! ), so my solution was to focus our efforts on a background video for the landing page. The format shows off our product in a dynamic and exciting way that can't be captured by static images alone. 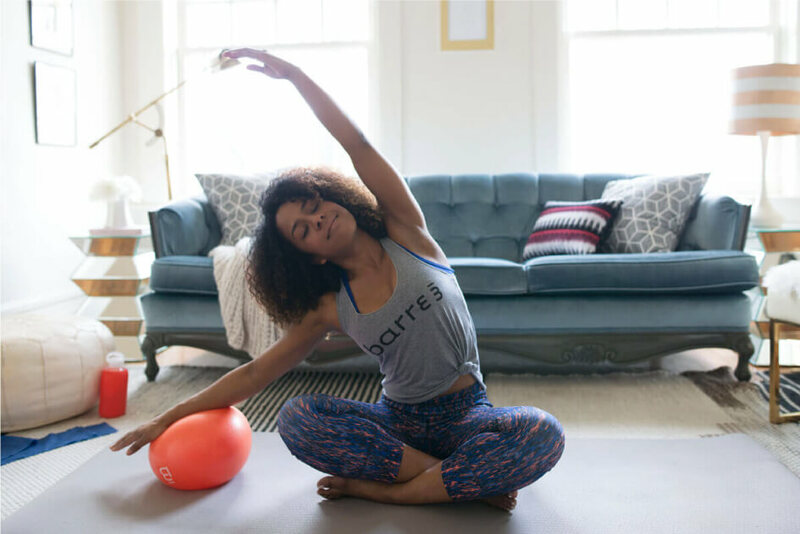 I filmed three scenarios that highlighted the versatility of our product, with the concept of workouts for anyone, that can be done anytime and anywhere. 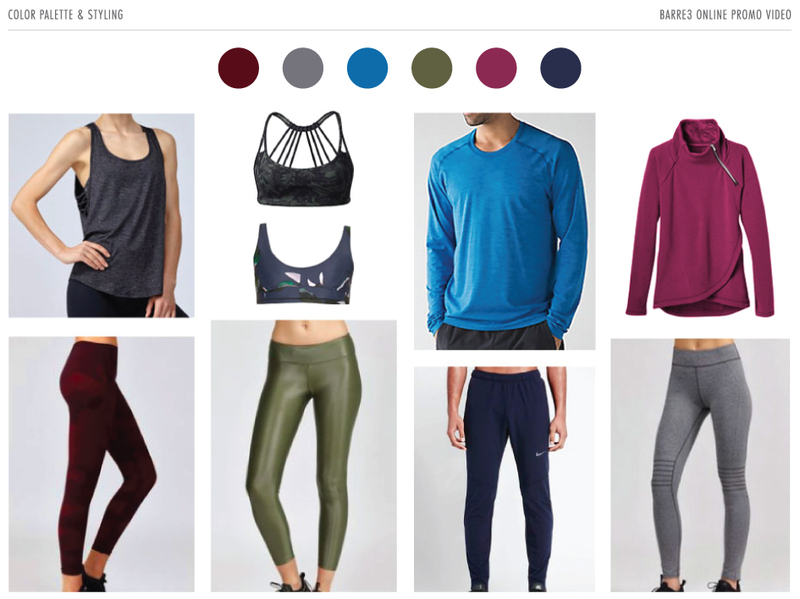 I selected a jewel-toned color story to add vibrancy and energy to the campaign. For wardrobe, I chose pieces that were of-the-moment, but not so trendy that the campaign would quickly become dated. The choreography of the video was all-important, because I wanted each move to lead seamlessly into the next from scene to scene. I made a detailed storyboard with suggested camera angles and movements, alternate postures, and other notes. We also brought in a photographer to take supplementary shots. There wasn't enough time in the budget to shoot separately, so the photographer gamely wove around the videographer to capture whatever she could. Fun fact: this is my apartment! Outdoor shoots in Portland are always touch and go, so we crossed our fingers that the weather would hold. Luckily it only sprinkled a bit—nothing that a little Phtoshop couldn't fix!